HELP THE US SOCCER POWER SOCCER TEAM HOST THE 2018 WORLD CUP!!! The West Coast Soccer Assocation was honored to attend the US Soccer AGM Breakout session on the Power Soccer. 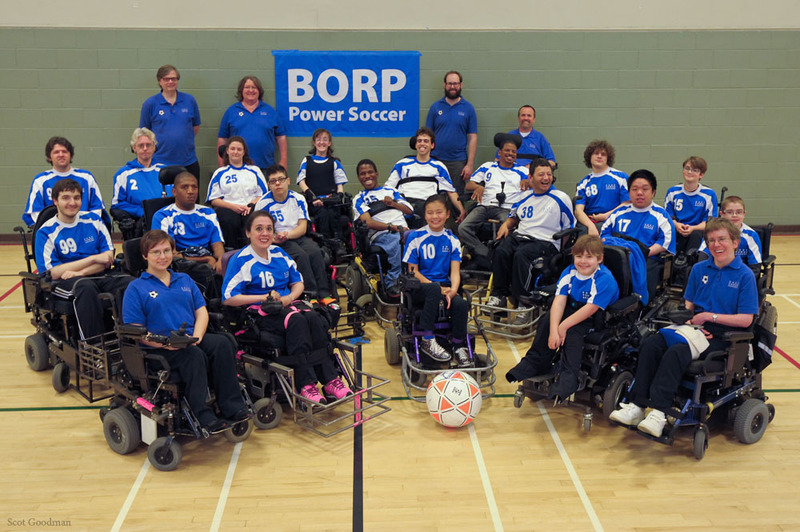 Power Soccer is the fastest growing sport for power wheelchair users. The sport was originally developed in France in the early 70’s and was introduced to the United States in the early 80’s. Since then, many countries created their own version of the sport which led to an international meeting in Paris, France 2005. It was the vision of the six countries that attended, to create an international organization and unify the rules for international competition. The international organization, "Federation International de Powerchair Football Association" was born. This development led to the formal organization of the United States Power Soccer Association (USPSA) in 2006. In July of 2017, eighty of the world's most elite power wheelchair athletes will converge in Florida to demonstrate their abilities and bring added attention to our exciting sport. As a 100% volunteer­ driven organization, we could use your help in making this event a possibility. Costs for the United States to host and attend the 2017 Cup on their home turf will run upwards of $700,000. To put it simply, our power soccer athletes could use some of your own generous power and support. We are seeking donations of $20.17 to signify this once ­in ­a­ lifetime event. Your donation can be directed to a particular athlete of can go to the general fund. Your gift will help support the needs of Team USA as well as fulfill our obligations in hosting the World Cup. Team USA would like to thank you for taking the time to learn about our team. Your support will not only make this event possible, but open doorways for future players as well.